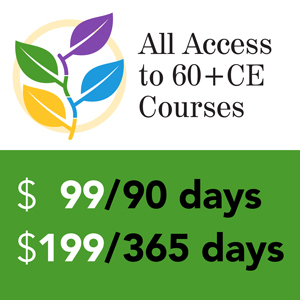 Retirement income planning is complex, as it requires breaking down the silos of retirement plan or product type and evaluating how to combine resources such as Social Security, human capital, home equity, and various types of investments in ways that provide the best income outcomes while minimizing retirement risks. 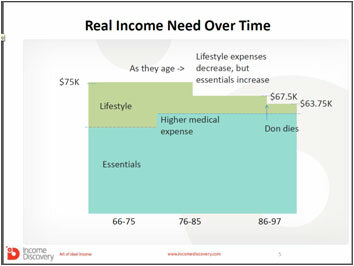 Because of this, the best way for retirement professionals to understand how to approach thinking about planning for retirement income is to see a demonstration of a framework of how it should be done, where tradeoffs between income and risk are modeled to arrive at a best potential solution for a particular individual circumstance. Because retirement income planning IS complex, InFRE has long believed that software is key to bringing retirement income planning to the middle market. 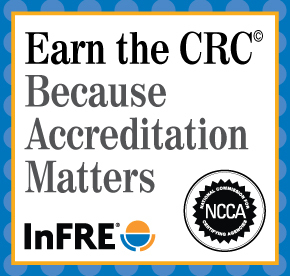 InFRE has been a long-time proponent of helping the financial industry improve retirement software by participating in two studies with the Society of Actuaries and LIMRA in 2002 and the SOA in 2009 that evaluated how well software packages addressed helping people manage these tradeoffs. The 2002 study demonstrated that the industry was light years away from where it needed to be. The 2009 study showed some progress, but overall we’re still not where we need to be. Manish has been a breath of fresh air in the financial planning industry with the framework he has developed to help model optimized income strategies for clients. 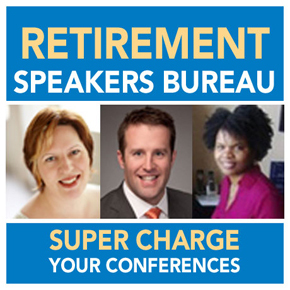 He published an article in the August, 2012 Journal of Financial Planning titled, “A Framework for Finding an Appropriate Retirement Income Strategy,” and delivered a presentation on his approach at the 2013 national Financial Planning Association conference, where we met. This presentation was delivered in live webinar format by Manish in 2014. Manish’s comments have been edited for clarity and length. When we talk about optimizing income strategies, I want to explain the literal context of what are you really optimizing and what an income strategy is. If you take a typical client, which let’s say they’re a couple, they have multiple ways that they can claim Social Security, which will provide part of the retirement income they need. The multiple ways are not trivially small, right? For a couple, they could have up to 70,000 different combinations on how they can claim Social Security. What they decide to do there has an impact on the future of the plan. If they decide to defer the Social Security claim, let’s say to 70 for both the members of the household, then they need to go to their investment portfolio from where they will systematically withdraw and get that income for a couple of years until Social Security starts, and that means that their money is going to appear to run out faster initially. If that money comes from one of their tax qualified accounts, let’s say an individual retirement account, IRA, or a 401K, that entire distribution is taxable. So all these decisions that you make about an income strategy for a client interact with each other in a complex way. We also have a lot of options with respect to annuities: the type of annuities they can purchase, when they purchase them, or when they invoke the lifetime riders on it or put it into a lifetime income or ladder individual bonds. Even in the systematic withdrawals, based on what they decide to do in their annuity side and Social Security, they have flexibility on the model portfolio they want to hold in their investment accounts. So what is the right combination that will be good for them? To make this question a little more concrete, let’s jump into a case study. We have Don and Mary Parker, a 66-year-old middle-market couple; they have about $300,000 of total assets. Don and Mary both have worked until age 66, which also happens to be their full retirement age. They can claim $2,000 and $1,500 of monthly Social Security benefit. They have a house, which is fully paid for, worth about $250,000. We will run a plan assuming Don outlives 85 percent of his male peers and Mary outlives 90 percent of her female peers, so they live up to 92 and 97. Now during that time, their retirement income will vary. They want to start with $75,000 of total retirement income budget, part of which are essential expenses, and some part is their lifestyle expenses. As they age, their lifestyle expenses start decreasing. Their essential expenses will increase once they get into their mid-70s because of higher medical costs, out-of-pocket costs, and insurance premiums. But as they get into their 80s or mid-70s, they will further bring down their lifestyle expenses and live in a total budget of about $67,500. Once Don passes away, Mary has another five years to live as a single person. We assume that she is going to live on a further five percent drop in the budget and live on about $62,750. There are various ways of structuring this retirement income. One is to rely on Social Security and the systematic withdrawal portfolio and take Social Security claims at age 66, and get the balance of the cash needed from the systematic withdrawal portfolio. When Don passes away, one of those Social Security streams disappears and only one stream is available, so Mary has to go much deeper into her portfolio to get the balance of her retirement income. The second option is they can defer the Social Security claim to 70, which increases the amount further, and we will see some of the increases as we go further into the case study. While both of them are deferring their own claim to 70 years of age, Don can file and suspend at 66, enabling Mary to file a restricted application for just the spousal benefit on Don’s record. She will collect a small amount at that point, about $1,000 a month. Again, when Don passes away, one of these Social Security streams disappears. They can use an immediate annuity which will give some of the cash flow for life. Like this, there can be hundreds and thousands of combinations of options. Now, which option is really right for the client? For us to answer that question, you need to have some objective basis for comparing various strategies. How do we say one strategy is better than the other? We need to step back and develop a risk/reward analysis framework for retirement income. The risk/reward framework that typically has been used by advisors to get to a retirement income strategy has been based on modern portfolio theory, which takes the expected return on the portfolio as a reward and the volatility of the portfolio as a risk. As somebody was willing to stomach more volatility, they could on an average expect to get a higher return. Now, that construct is not sufficient for analyzing retirement income strategies when we need to talk about Social Security and other things. What do a lot of advisors do today when they talk to their clients? Using a financial planning tool, typically, an advisor would show the client, “Hey, Don and Mary, you’re trying to withdraw $75,000, but when we run a Monte Carlo simulation, your probability of success is way less than 50 percent. That means you have a chance of failure of more than 50 percent, and that is not acceptable. 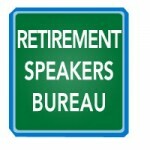 Why don’t you look at reducing your retirement income needs to maybe $65,000? Let’s reduce it by $10,000.” By holding that conversation, an advisor has already laid down the foundation of risk/reward frame for a time and income in which the risk was probability of failure, and the reward was retirement income. In telling the client to should reduce their retirement income from $75,000 to $65,000, they are using retirement income as a reward that the client can give up to reduce the risk. So that’s a good foundation, but we need to do two things to this. One, we need to extend the risk and reward metrics that are used in the framework. Second, we have to change the presentation of the risk by learning from multiple decades of behavioral finance research. We propose that we should not present risk as probability of success, but in frequency terms, such as the number of retirees out of 1,000 that might receive partial income. So there are two aspects here. First is that we’re not talking about 65 percent probability of success, 35 percent probability of failure. We’re talking about 650 retirees out of 1,000 getting full income and 350 getting partial income. The reason why it may appear to you that economically, these mean the same thing – and yes, they do – but behaviorally, we know humans are not the rational economic agent that an economics professor makes them out to be. They are highly emotional and they use their brains differently based on how things are presented to them. Without going into a lot of details explaining the model that behavioral finance has come up with – that conversation is about 20 minutes of my talk at a standard conference – I will summarize it in one minute. When you present the results in frequency terms, your clients are thinking of real people like themselves, their peers, their friends, their colleagues … everybody. They think of them in a big room and start segregating into some who were “successful” in getting the income, and a few in one corner who were not successful. That’s not the way they think if you put the result in terms of probability. This is very important because you want them to think in those terms. You want them to picture themselves as either being happy or being sad at how things have turned out. Secondly, we believe the use of the words “success” or “failure” is not advisable. Nobody wants to call himself or herself a failure. If your clients have set up a floor where they get $55,000 or let’s say $60,000 out of their $75,000 budget from lifelong sources of income such as Social Security, a lifelong reverse mortgage payment, and annuities, once they have done that, even if their portfolio were to get exhausted, they still get about $65,000 to live. It’s not a failure. It’s a situation of getting partial income, not getting the full income that you desired. The very next question that this presents to your clients is what happens when this partial income situation occurs? How much income will I have in that case? That is where we start introducing two additional risk metrics. So after your portfolio runs out, you still have Social Security and part of the annuity to live on, and a certain percentage of income that you wanted is not available. So let’s say 20 percent, maybe 25 percent. But you are still able to get 75 percent of the income that you want, even in the above unfortunate retiree case. Realize it’s not a hypothetical future unfortunate situation. You are presenting it as an unfortunate retiree case, one hypothetical retiree who faced the brunt of inflation and poor investment attempts. There’s a difference. The way you present makes a huge difference, and it is time we start recognizing this research and adopting that into our practice. We also present to the client the number of years of full income in that unfortunate retiree’s case. 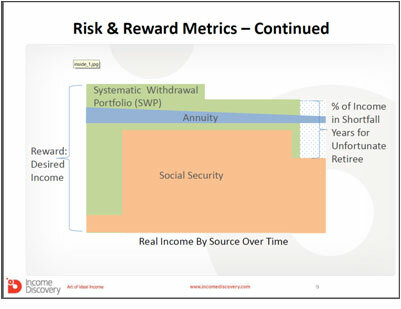 So now we have three risk metrics (editor’s note: the number of retirees who will receive partial income, the number of years of full income, and the percent of desired income that will be received) and we had one reward metric, which was the retirement income. Most people, after they have squared a plan to get their retirement income, want to leave a legacy. It may be for their family; it could be for any cause that is dear to them. So we report to them another reward metric, which is what is the average legacy that you can leave behind? So with these two reward metrics and three risk metrics, we will analyze various strategies for our Parker family and see how we can get them into a comfortable retirement. Don and Mary Parker both were born in 1949. When they retire in the year 2015, January, they will be 66. Remember, they had $300,000 of total retirement assets, and they want $75,000 of pretax retirement income from all the sources. We are assuming that Don outlives 85% of his peers and lives up to 92; Mary outlives 90% of her peers and lives up to 97. During retirement, if you remember, their income need is going to change. They have an active phase of retirement where they want $75,000. When they turn 80, they start slowing down. Even though they have higher medical expenses, they cut down their lifestyle budget drastically. So in total, they reduce their retirement income budget by about 10 percent and live on $67,500. This is while Don is alive. After that, Mary in her single survivor phase, cuts down the retirement income budget further by five percent. Next we configure their Social Security strategies. You can configure multiple strategies for them and feed those multiple strategies into an optimization process. If they claim their Social Security at 66, which happens to be their full retirement age, they collect $2,000 and $1,500. But Mary need not live on $1,500 of her own benefit for her entire life. After Don passes away, she is eligible to file for survivor benefits on his record and claim the higher $2,000 amount. We also configure a second Social Security claim strategy, which is that Don defers his benefit through file and suspend until 70 years of age, and his benefit increases from about $2,000 to $2,640. Mary can defer her own benefit and get it increased to $1,980. Mary has an opportunity to file a restricted application to collect only a spousal benefit on Don’s record of about $1,000 a month until her own benefits start and that she can collect until Don passes away. At that point, again, she is eligible for survivor benefit, but in this case the survivor benefit is not $2,000 but $2,640. The delayed time and credit that Don took are what she is eligible to collect as a survivor. They do not have any pension, so they have nothing in incoming cash flows. To optimize for Don and Mary, we need to look at the risk profile of Don and Mary. They can go into maximum volatility of a moderate inflation-protected portfolio. Their preference would be to stay conservative, but they can take some of this kind of risk. Which Combination of Potential Actions is Best for Them? There are eight different combinations of actions they can take such as claim Social Security at 66 and have a conservative portfolio, or take Social Security at 66 and be in a conservative inflation-protected portfolio, etc. Out of these eight combinations, which one is best and what is the risk? Once we run the numbers we see that if the Parkers continue on the path they are on now, they are in a terrible, terrible spot. There’s no way in the world it appears at this time that they can have $75,000 per year to live on. Let’s look at the risk. Out of 1,000 hypothetical retirees, only 18 will receive full income on the existing plan. 982 of them would have received partial income, which is conventionally called a failure. It just so outright terrible that you don’t even need to look anywhere else. We need to do something for them. So what do we do? Even the various Social Security claim strategies have been used, but nothing helps them. The first thing we try for them is to add a reverse mortgage. If they take the $250,000 house and get a reverse mortgage on it, getting an additional lifetime cash flow, the risk on how long they live is transferred to the issuer. So they get about $676 a month. They start collecting it right away. It is based on their joint life and does not move up with inflation. It stays constant at a nominal value of $676 a month. So that’s the first thing we do. Now, the second thing we will do is see if they can defer their retirement by two additional years. So for the next two years, they will still work. So we introduce an additional phase, let’s call it pre-retirement, and it will be just for two years, in which they will have no retirement income at all. They’re not going to withdraw from anywhere. They will earn their income. So from ages 66 to 67, they draw no retirement income; the active phase of retirement is reduced by 2 years. At the same time, they work, and they try to bump up their savings. So they decide that they will put $10,000 additionally in each year for a period of two years. They will save by working, not withdrawing for their portfolio, and saving $10,000 for the next two years and adding it to their portfolio. So with that, let’s see if these three decisions of taking a reverse mortgage, working for two more years, and saving $10,000 annually can improve their situation. By running the numbers, we see that these steps can make their retirement feasible now. 844 out of 1,000 retirees using this approach get full income on the plan, and 156 get partial income. That’s a much more acceptable risk. The unfortunate retiree case received 24 years of full income, and for the remaining seven years of the plan, that unfortunate retiree case had 63 percent of the income. To that end, the recommendation is to defer Social Security until age 70 and invest their saving in a moderate inflation-protected portfolio. This approach provides the highest number of full-income retirees. There is another optimized plan, which is that instead of being in a moderate inflation-protected portfolio, if you are in a conservative inflation-protected portfolio, you may have a slightly smaller number of retirees with full income, but the unfortunate retiree case will be much better. You can have two additional years of income in the case of the unfortunate retiree by staying in a conservative portfolio. So you get that extra protection for that really unfortunate case, but you give up some amount of your reward. Instead of leaving an average legacy in today’s dollars of about $348,000, in this case they only leave around $162,000. So their legacy could be almost half of what it would be if they try to protect themselves for that unfortunate retiree case; that is a tradeoff that they need to make. How Might Purchasing a Fixed or Deferred Annuity Help? Now we will try to improve their situation, seeing if we were to analyze the purchase of an immediate income annuity, will that improve their situation? We will also look at an immediate fixed deferred annuity. I already have the price obtained in the interest of time, which is $484 of monthly payout for life if it is purchased with $100,000 of premium. The payments will begin right away. It’s a joint life, 100 percent survivor benefit, and has no inflation adjustment in the payout, which will stay constant. Another option is to add a fixed deferred annuity. Unlike an immediate annuity, a fixed deferred annuity functions like a certificate of deposit. So for a period of nine years, the balance will continue to grow at about three and a half percent, and at that point, once they are 75, they can annuitize it into a life stream of income. The payout at 75 years of age for them will be $532 per month for $100,000 invested. Again, there is 100 percent survivor benefit and no inflation adjustment. Now the question we will ask, in addition to the Social Security claim, investment model strategies, and the different annuitization options, is whether to not purchase the immediate annuity, purchase it with 10 percent of the assets, or with 20 percent of the assets, and similarly for the fixed deferred annuity. The first option is to take Social Security at 66, be in a conservative portfolio, don’t buy the immediate annuity and don’t buy fixed deferred annuity. The second option is to just change to fixed deferred annuity and purchase it using 10 percent of the total assets. Like this we can combine them into 72 different options. Which one is right for the client? After running the numbers, the best option is to defer Social Security to age 70, buy an immediate annuity using 20 percent of the assets, and be in a moderate portfolio. That will get you the highest number out of 100 retirees with full income. So in the case study for this middle market client, we started off with a terrible, terrible situation. 18 retirees out of 1,000 getting full income on the plan. By making a couple of changes – having them work for two additional years and saving $10,000 in each of those years, deferring their Social Security claim to 70 through file and suspend, doing a restricted application to collect the only other benefit, doing a reverse mortgage with a lifetime payout on their house, exploring the purchase of both immediate and fixed deferred annuities – we have completely turned around their situation. We have dramatically improved the plan for them so they can have a safe retirement, they can have a retirement that they have worked for all their life and enjoy it with no worries on their head and all the safety built in. Manish Malhotra, MBA, is the Founder, President, and CEO of Income Discovery, which specializes in optimizing software for retirement income strategies. 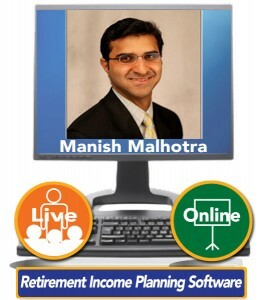 Manish Malhotra is an expert on retirement income planning software. He launched Income Discovery to develop innovative solutions addressing the retirement income planning challenge. Being part of the team at Smith Barney that developed a time-segmented retirement income solution, he realized the potential of developing a new paradigm. He proposed a new analysis framework for retirement income strategies in a paper in Journal of Financial Planning. The framework and approach are used in Income Discovery, the software for optimizing retirement income strategies. Prior to forming Income Discovery, Manish was a Sr Vice President at Citigroup Global Wealth Management (Smith Barney and Private Bank) leading the IT strategy & architecture function. Prior to Citigroup, he led the IT architecture for enterprise risk systems at Bank of America. Prior to Bank of America, he designed and implemented global risk systems at Nomura Securities. He started his career as corporate banker with ICICI Bank, a leading private financial services firm in India before moving into software at Webtek Software, a Dresdner Kleinwort’s subsidiary, in India.